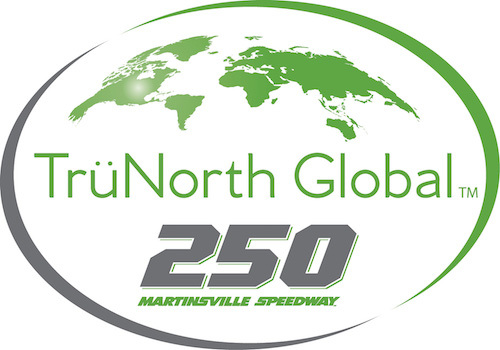 After a couple of weekends off, the NASCAR Gander Outdoors Truck Series returns to action Saturday for the TruNorth Global 250 at Martinsville Speedway. 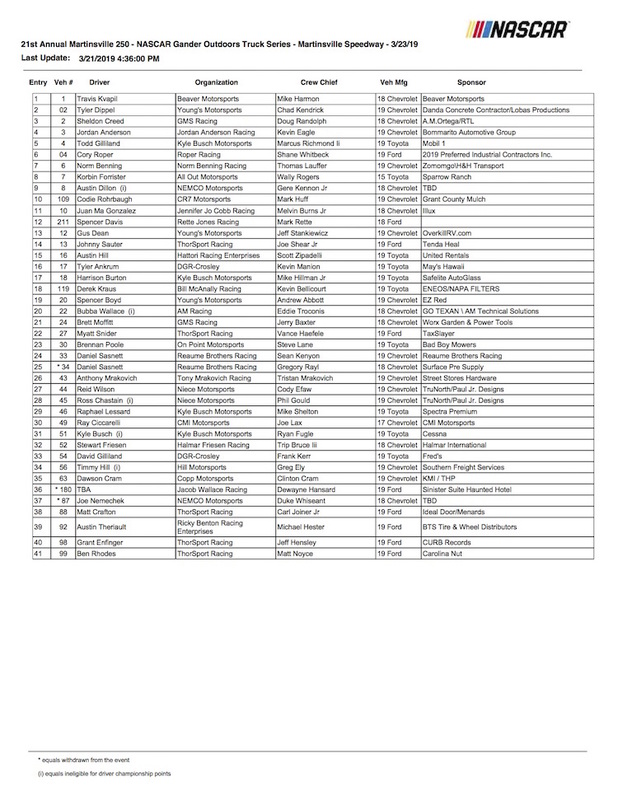 Truck Series regular Johnny Sauter is the most recent Truck Series winner at Martinsville, winning there last October, and he’s one of 41 entrants listed on the preliminary Martinsville entry list, including three teams that have since withdrawn. Not on the list, though, is defending race winner John Hunter Nemechek. Instead, Austin Dillon and Joe Nemechek are listed as drivers of the two NEMCO Motorsports entries. Meanwhile, Dillon is one of at least three Cup Series regulars planning to pull double-duty at Martinsville by running the Truck Series race. Darrell Wallace Jr. is expected to climb into the No. 22 AM Racing entry, while Kyle Busch is listed as driver of the No. 51 Kyle Busch Motorsports truck. The race starting grid of 32 trucks will be determined by qualifying, scheduled for 10:40 a.m. ET Saturday. The race is scheduled for an approximate 2 p.m. green flag.